Many opportunities exist in Central Montana for hunting elk. Elk can be found in prairie regions and foothills of mountain ranges, as well as in the mountains themselves. 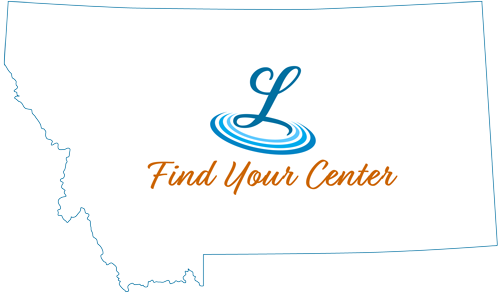 The range for elk in Central Montana extends from the Missouri River Breaks on the north (both public and private lands) to the many mountain ranges in the central and south central portions of Montana. Archery opens in early September and continues until mid-October. There is a week hiatus of closed season before the rifle season opens in later October. Crossbows are not allowed during archery season, but one can hunt elk during rifle season with archery equipment, including crossbows. Access is available via large tracts of public land, including the Charles M. Russell National Wildlife Refuge. Getting a chance at a Breaks elk requires a lot of scouting and hiking, but that’s all part of hunting this rugged country. When archery elk hunters think about making their “dream hunt”, most often the Missouri River Breaks is included. Nationally renowned for its trophy bull elk, the Breaks hunting is just a little over an hour north of Lewistown. Regulations that apply to hunting in the Breaks make it important that hunters obtain and read the appropriate materials. In addition to the Breaks elk hunting, the healthy Central Montana elk herd also offers archers opportunities in the Snowies, Belts, Judiths and Moccasin Mountains. Except for the Little Belt Mountains, which has easy and multiple access points to its national forest lands, access to hunting in these small mountain ranges is fairly limited, so the visiting hunter needs to do his homework to find a place to hunt before getting here. Throughout Central Montana the elk population is plentiful, with numerous public land access points. Most all of the elk hunting is by permit only. Because elk herd numbers are above or at management plan objectives, the Montana FWP has instituted a number of special hunts to try and control the population. Many of these hunts are available in Central Montana, and hunters interested in these hunts should review the regulations. Applications for permits usually have a March deadline, and the number of permits given, particularly for bull elk, is very limited in some hunting districts in Central Montana. Sportsman looking to harvest an elk, whether a trophy or one for the freezer, can choose from a variety of promising options when it comes to Central Montana. There are also several guides and outfitters operating in the area that provide access to elk hunting on private land.